Dive into the infinity of the Arabian Sea from the best white sand beaches of the entire Konkan stretch of Maharashtra. 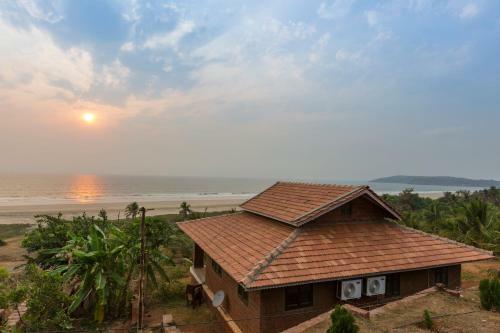 If you are looking for an unexplored secluded beach vacation with relaxing views of the ocean, roaring waves, calming wind, surreal coastline and beach seclusion, then Ratnagiri is the place to be. Situated in the heart of the city, Mandavi beach is also known as the Gateway of Ratnagiri. It is the most popular beach among locals and has black sand with clear blue water along the shoreline. Water sports like jet skiing are also available here at a nominal price. On the beach, camel or horse riding is also available. It is a busy beach, so if you don’t mind a crowd or are travelling with family or kids, it is a good destination to play and enjoy the beach. Enjoy the street food available on the beach including Panipuri (round fried crisp wheat balls served with a mixture of flavored water, mashed potato, chopped green chilies, onion and chickpeas), Bhel (spicy puffed rice), coconut water, ice cream, etc. Located 2km (about 1 mile) from the city, this beach is a serene mix of both white and brown sand. Bhatye Beach is a long beach stretching about 1.5 km (just under 1 mile) and an ideal place for a romantic walk with your soulmate. Especially on the weekdays it is mostly secluded and apart from the street food vendors you won’t find a soul! This beach also has camel rides and horse cart rides by the shore and here you must relish the refreshing local specialty Kokam Sharbat (herbal red fruit juice). On the journey to Bhatye Beach, there is a famous stop called Titanic Point dedicated to the Titanic movie, and it features a raised platform to get a great view of the vast stretches of sea around. Access: Located at 2km from city in Bhatye Village. 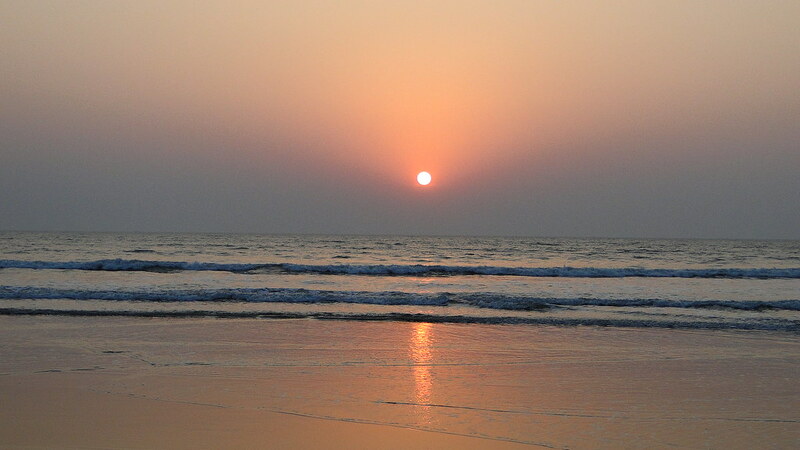 Another famous Konkan beach, Ganpatipule is about 20km (12 miles) from the city center. The drive to this beach is a travelers delight as it has the long stretch of the Arabian Sea coastline on one side of the road and hills or villages on the other side. So, en route to this beach you will want to stop at various serene stretches. This beach is named after a 400 year old Lord Ganesha Temple located by the sea shore. If you get hungry after the long ride, relish the local Konkani cuisine or the street food easily available by the beach. This beach has everything from lush green landscape, gusting waves and refreshing wind. About 49km (30 miles) from the city center, this beach is located on the opposite end of Ganpatipule but the drive is equally enthralling. You will drive through mango farms, small villages, more beaches and arrive at a small fishing village called Guhagar. This is one of the cleanest beaches you will find in Konkan. Right next to the beach are lines of coconut trees acting as a wall between the main road and the beach. Near by Food: Resorts and restaurants nearby the beach offer delicious Konkani cuisine and other varieties also. Enroute to Ganpatipule Beach, you will come across pristine, secluded, twin white sand beaches called Aare & Vaare. Stop by to rejuvenate your soul through the blissful scenery of the beaches and solitude. Spread your mat, apply some sun screen and lay down to soak in the sun, hear the sound of the waves, see tiny crabs and indulge yourself in the lap of nature. Address: Ganpatipule-Ratnagiri route through Bhandapule. Access: Get to the beach via the Sakhartar Bridge. A real beauty, this beach is a little hard to find. So, hire a good taxi driver and you will come across this beach on the road heading towards Goa. Swimming on this beach is prohibited by the government. But, the views from the hilltop are worth every minute spent on this unexplored beach. If you can spare some time, from Anjarle Koli village you can take a boat ride to the Suvarnadurg Fort (Golden Fort) which is currently in ruins but has historical importance as the British looted this fort in a coastal naval battle. Also, you might spot some dolphins while in your boat ride to and from the Fort Island. Access: Anjarle Beach is situated just 23 kms from Dapoli. Buses from Dapoli to Anjarle beach are available from Dapoli ST Depot in 30-60 minutes interval and take less than hour to reach Anjarle creek by Harnai road. Or you can hire a vehicle from Ratnagiri city or directly from Mumbai to Anjarle Beach. Ratnagiri is a coastal city, so there are many more beautiful beaches that you can explore while you’re walking on the coastline or simply driving around the Mumbai-Goa highway. Are you a beach person? Then go ahead and explore Ganeshgule Beach, Kunkeshwar Beach, Devgad Beach & Velneshwar Beach and in and around Ratnagiri town. Located on a hill top and flanked by the Arabian Sea on three sides, this fort is a hidden treasure which is a bit of a challenge to find but absolutely worth the trip. Built during the 16th century by the Bahamanis, this fort is in the shape of a horse shoe. The most interesting fact about the Ratnadurga Fort is that it has been conquered and passed on from Muslim rulers to Marathi rulers and finally by the British rulers before India’s independence. This fort was crucial in keeping a vigil on pirates in the Arabian Sea. The fort is 1300m (4265 feet) long with a width of 1000m (3280 feet) and can be divided in to three architectural sections - Balekilla, Peth Fort and Parkot. 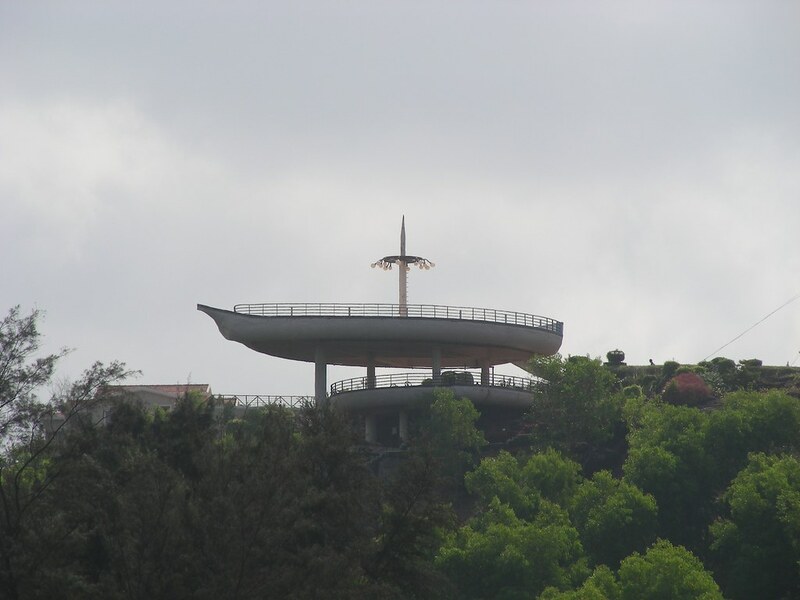 Among these, Peth Fort is in ruins and the Parkot (the largest one) accommodates the Ratnagiri Light House. Opening Hours: 10am - 5pm all days of the week. Access: About an hours drive from Ganpatipule. Do you enjoy hiking or trekking? Then this fort offers the best opportunity for you to hike or trek to the summit of the cliff and be rewarded with breathtaking views of the confluence of the Shastri River and the Arabian Sea. Sitting on top of a cliff, the Jaigad Fort is located amidst forests and dense vegetation. You might just come across exciting wildlife as well as different flora and fauna. Inside the fort there is not much to see, except for some ruins and views of the ocean. Make sure to carry water and food as you may not get many options to eat around here. By Air: Although Ratnagiri has its own airport, it is currently not operational and is expected to reopen sometime in 2017. Other Airports nearby are: Karnataka’s Belgaum Airport, located at a distance of about 251 km (156 miles) and Goa International Airport, which is about 258 km (160 miles) away. By Road: You can travel by both public and private bus. Operators travel this route from Mumbai, Pune and Goa, respectively. You can also hire a private taxi and drive to Ratnagiri. By Rail: Ratnagiri Railway Station is in the Konkan Railway Zone, and located in the heart of the city. The station is well connected to various Indian cities. Ratnagiri has so many beaches to offer that the ideal time is to travel is during the cooler months from October to March. Indian summers are harsh but if you can tolerate the heat than summers might offer you the best Alphonso mangoes here from April to June. Also, the rains are pretty much unpredictable between July to September and there’s not much to do indoors in terms of nightlife or resorts. So, it is also advisable to avoid rainy season if this is going to be your first visit. With so much to offer, Ratnagiri is so much more than just a weekend getaway and slowly gaining a lot of popularity among tourists owing to its proximity to Mumbai, Goa and Pune. What are you waiting for? Surprise your soulmate, start planning and get going. Happy travelling! Do share your best travel experiences and pictures with us.